Personnel – Sunjae Lee: tenor and soprano saxophones; Peter Evans: trumpet; Chris Varga: vibraphone; Minki Cho: bass; Junyoung Song: drums. Entropy is the first studio album by saxophonist/composer Sunjae Lee since moving to Korea in 2014. Besides deeply committed to experiment and discover in music, the Boston-born musician is a part-time painter and a full-time acupuncturist. Here, he delivers a raw, spiky set of tunes shaped through diverse group formations. In addition to regular trio mates, Minki Cho on bass and Junyoung Song on drums, Lee summoned American musicians Peter Evans and Chris Varga, trumpeter and vibraphonist, respectively. “Daedalus”, the opening tune, and “Icarus” are totally improvised sax-trumpet duets prone to timbral variation. The type of phrases emitted by Evans’s trumpet provides a wonderful, gritty foil for the saxophonist’s long notes and eloquent circularity designed with some cool, jarring effects. Both musicians are in perfect command of their instruments, attaining high levels of comfort while playing them. Mounted in a classic saxophone trio format, “Alternative Facts” complies with a 32-bar form, conjuring up the dynamically swinging avant-jazz of Ornette Coleman. 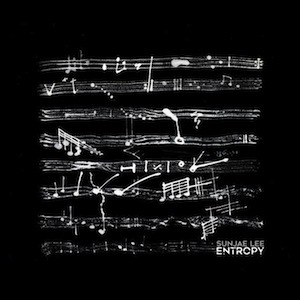 In the same way, “Agent Entropy”, written for Lee’s two-year-old son, brings a natural fluidity of movement to the free-bop context where it lives. The ghost of Charlie Parker seems to influence the lines, and drum stretches take place before the final theme. Exclamatory unisons introduce “Foxdeer”, which also features Song’s responsive drumming. The musicians work under a guided improvisatory method with the density toggling between the compact and the airy. If Evans is relentlessly sprightly in his intervallic endurance, Lee discourses with a Liebman-esque ferocity for a while. Tenderly harmonized by vibraphone, the title cut offers amiable melodies designed with occasional, dispersed accentuation. In truth, each musician is following a diagrammatical chart from which they pick a sequence to create random atmospheres of juxtaposed phrases. The sonic clouds swirl away without sounding duplicate or overworked. The harmonic glow of the vibraphone also varnishes the ground of “World on Fire”. This composition was written during the time that fires consumed the Columbia River George in Oregon, one of Lee’s favorite places to go while living in Portland. The tune lives from interesting horn statements immersed in extended techniques and suffused with timbral heftiness. In the epilogue, “Body”, Lee confers a new melody to the famous standard “Body and Soul”. The word soul is purposely missing from the title, in an attempt to alert for today’s soulless lifestyle. Composing with openness, Lee experiences serendipity through the randomness of the moves, even when the band follows a developmental logic in the process. As a consequence, they systematize free itineraries in an engaging, controlled way.